Who doesn’t love pastel colours?! 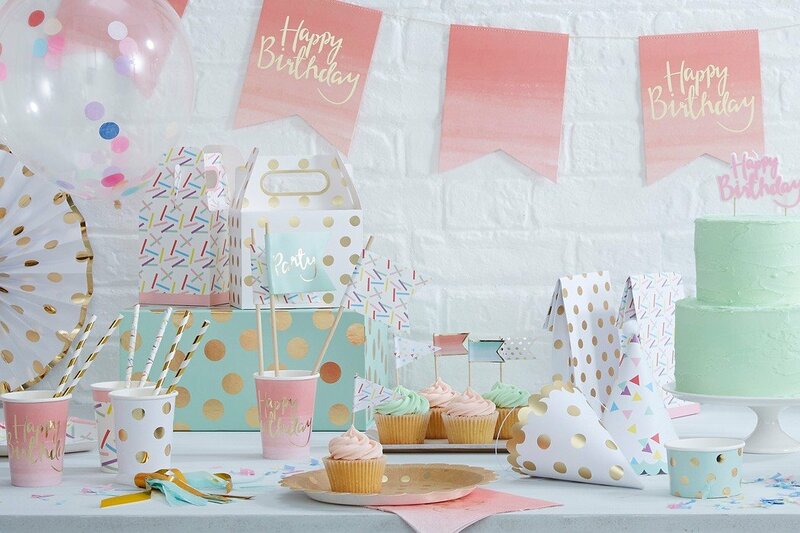 Whether you’re celebrating a birthday or a baby shower, pastels are one of our favourite colour schemes. 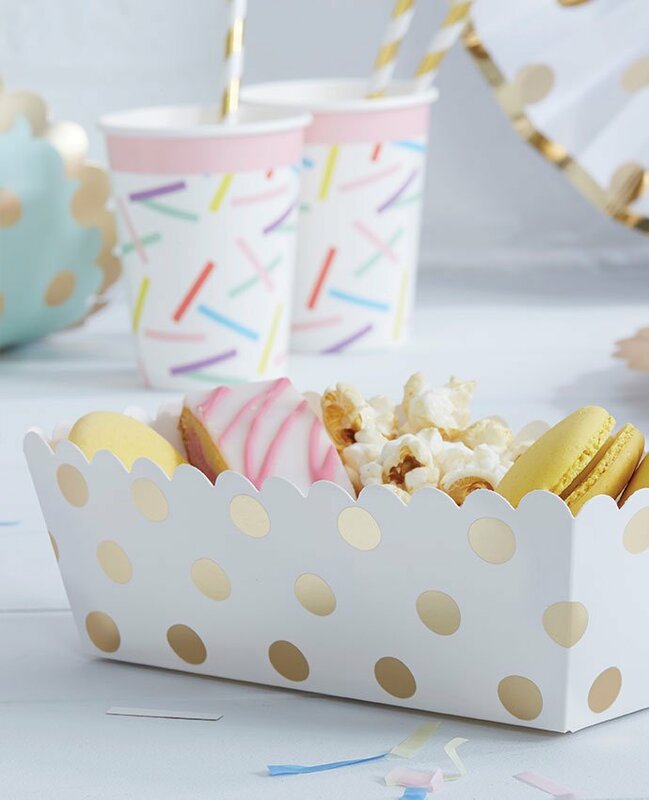 So today we’re going to show you how to throw the ultimate pretty party with our gorgeous range of Pick and Mix party supplies. 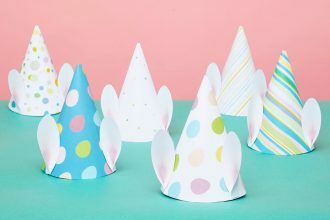 They’re super stylish and made for mixing and matching – so read on and use our pastel party ideas as inspiration for your own party! 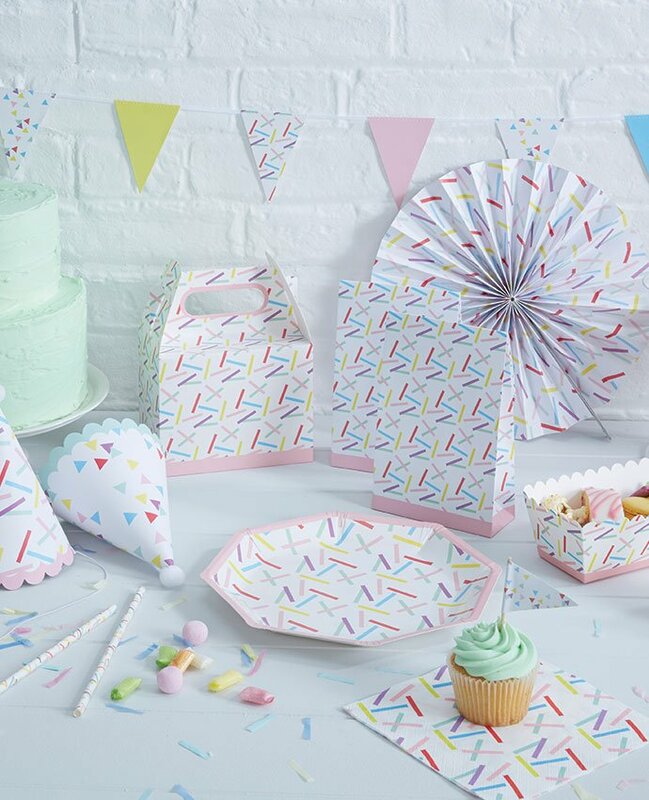 The first step of planning your pastel party is choosing a colour scheme – and the beauty of our Pick and Mix party supplies is that you have loads of options! Choose a couple of key colours to mix and match, and add blocks of white to keep your party looking stylish. Here are some of our favourite colour combinations for inspiration. 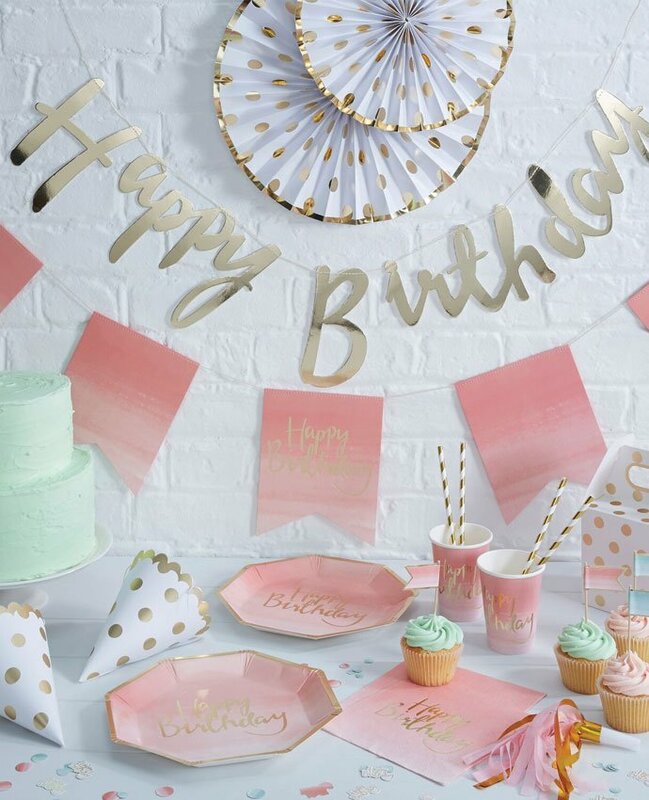 Pastel pick and gold work wonderfully together so start your party with these plates, cups, napkins and bunting. 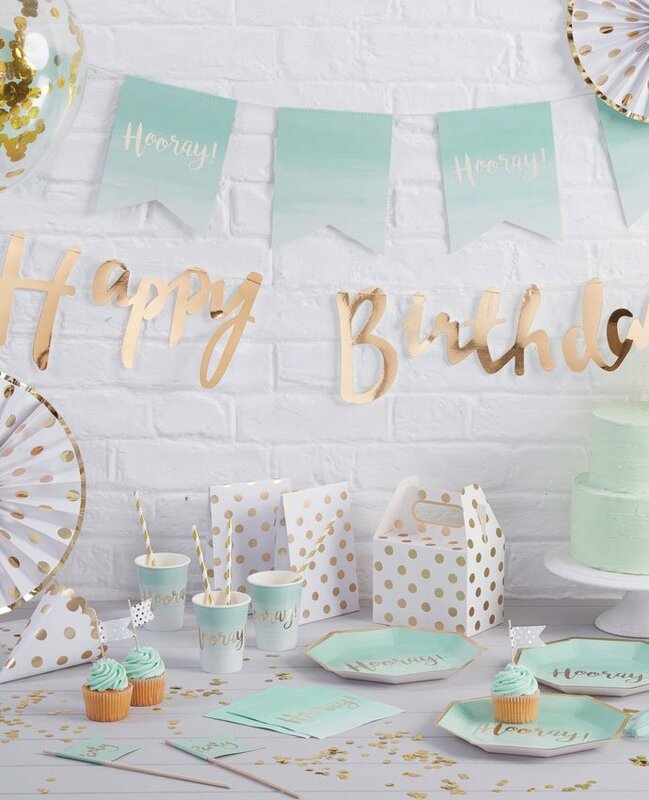 Then hang some gold happy birthday letter bunting in the background and add a few drops of mint green and white for a super stylish look! 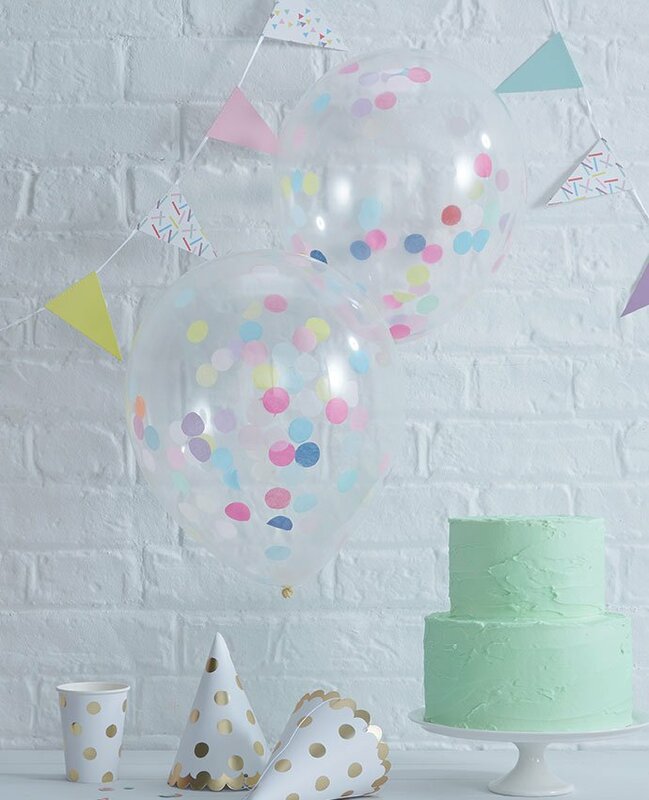 How about a sprinkles theme that incorporates all your favourite pastel colours? 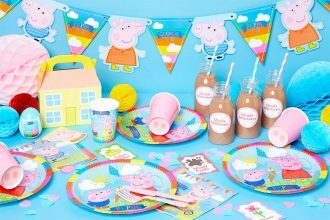 These plates, cups and napkins would be a great foundation for your pastel party. 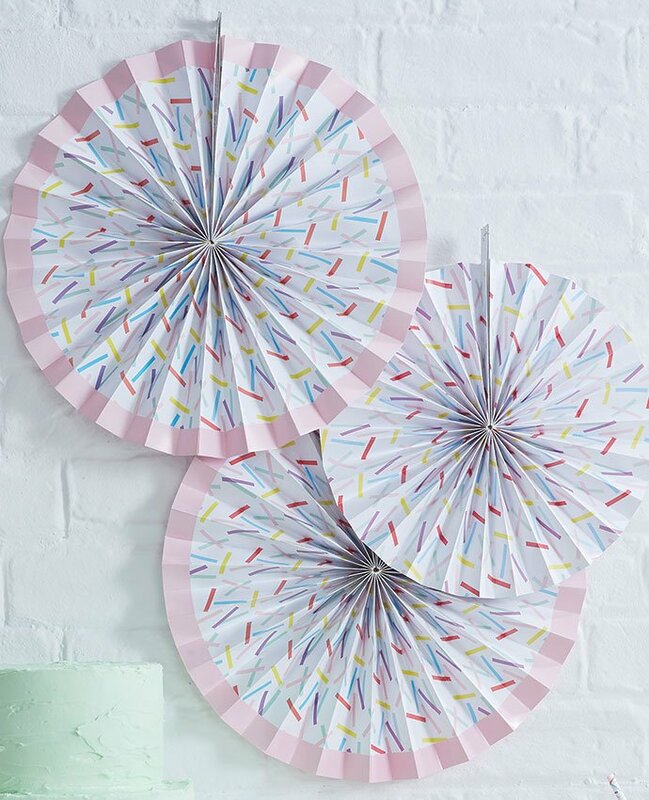 We also love these sprinkles fan decorations – they’d look perfect hung behind your buffet table. This mini bunting is cute too! Or what about mint green and gold? Whatever the occasion, this stunning colour scheme will make your celebration extra special! Start with these plates, cups and napkins , then decorate with these gorgeous white and gold polka dot fan decorations. 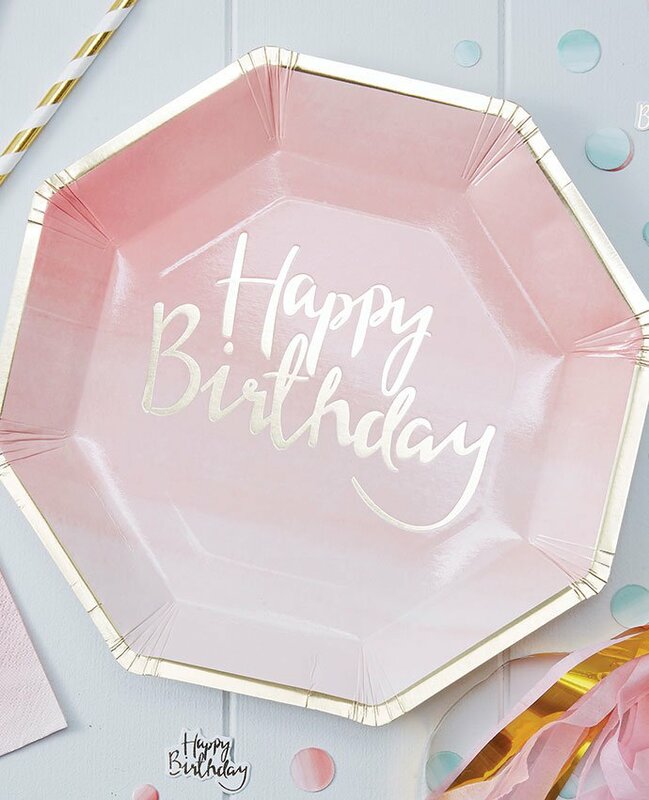 The beauty of a pastel party theme is that it’s hard to mess it up – whichever pastel plates, cups and napkins you choose, it’s easy to make them look stylish and coordinated. 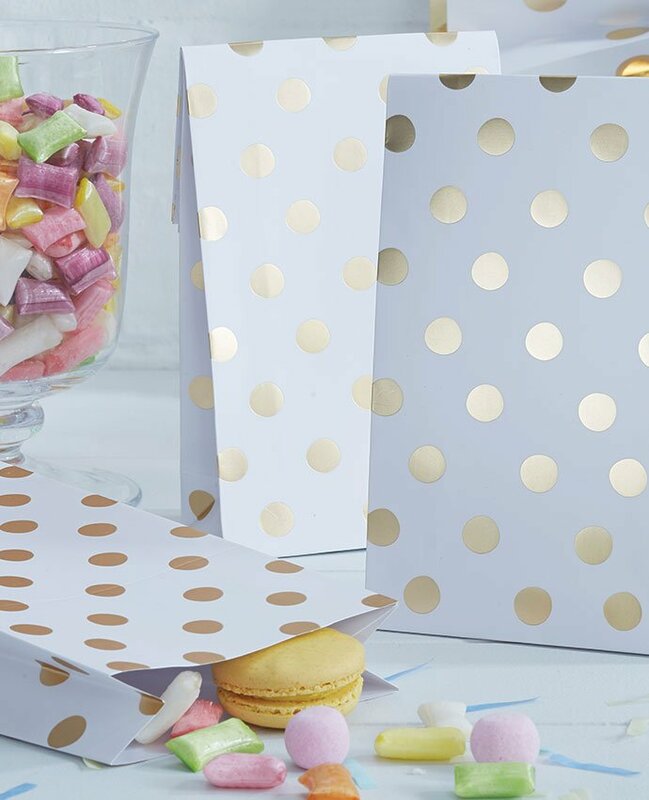 We particularly love these white and gold polka dot party bags – and they’ll match whichever pastel colour scheme you choose! 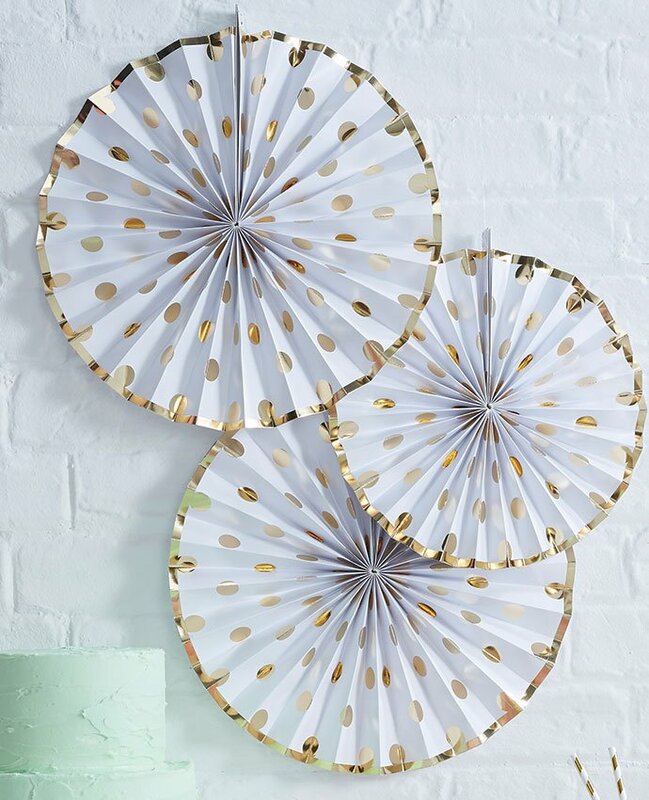 These white and gold polka dot fan decorations are another one of our favourites. 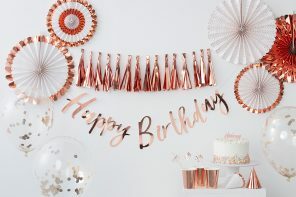 Pick your partyware and decorate! When it comes to decorations, less is more here too. Blocks of white will really make your pastel-coloured decorations stand out, and we love hanging pastel bunting like this against a white wall for a cute, stylish effect. (This would look great hung behind your buffet table). 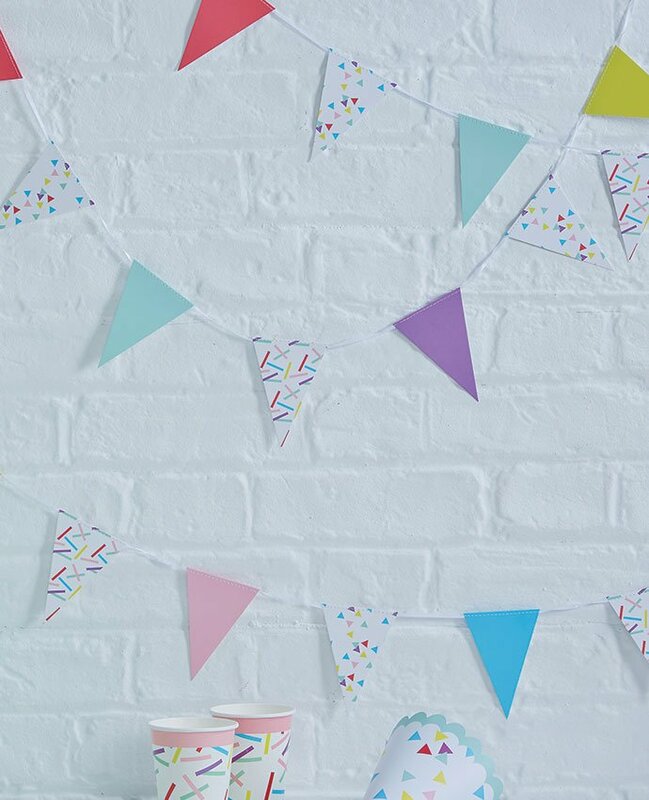 Our latest obsession is balloon bunting! It’s the perfect statement decoration and works brilliantly for large party venues. Simply choose your balloon phrase, inflate it with air and hang it up on the wall! 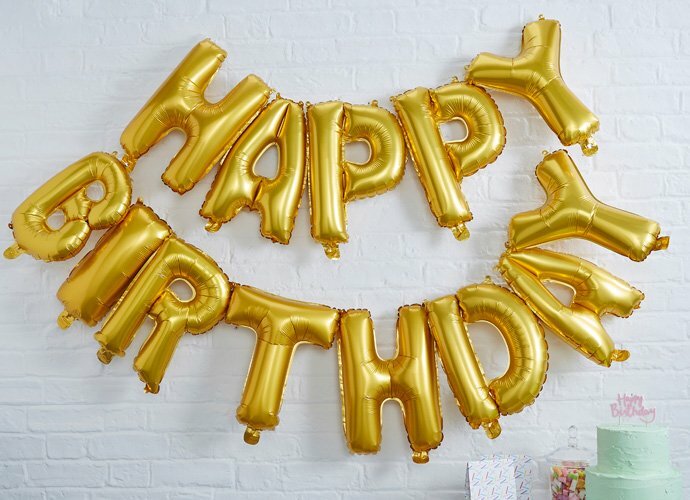 This happy birthday balloon bunting is one of our favourites. We’re also obsessed with confetti balloons! 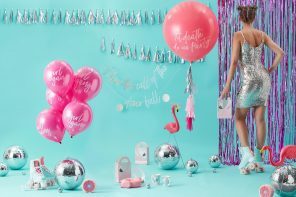 Choose a colour that matches the rest of your party, then blow them up with helium to make a statement! 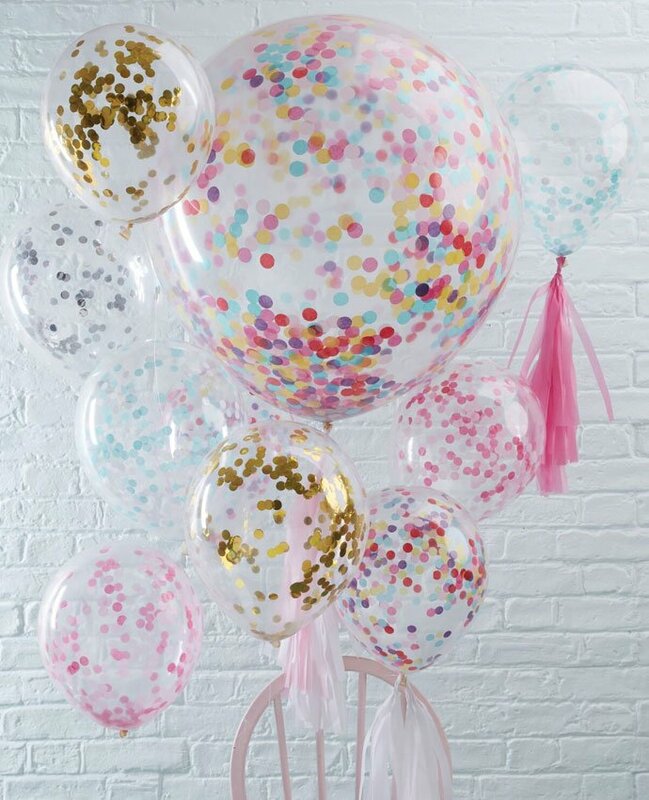 We particularly love these multi-coloured pastel confetti balloons. Why not mix and match? Take a look at all our confetti balloons and pick a couple of colours! 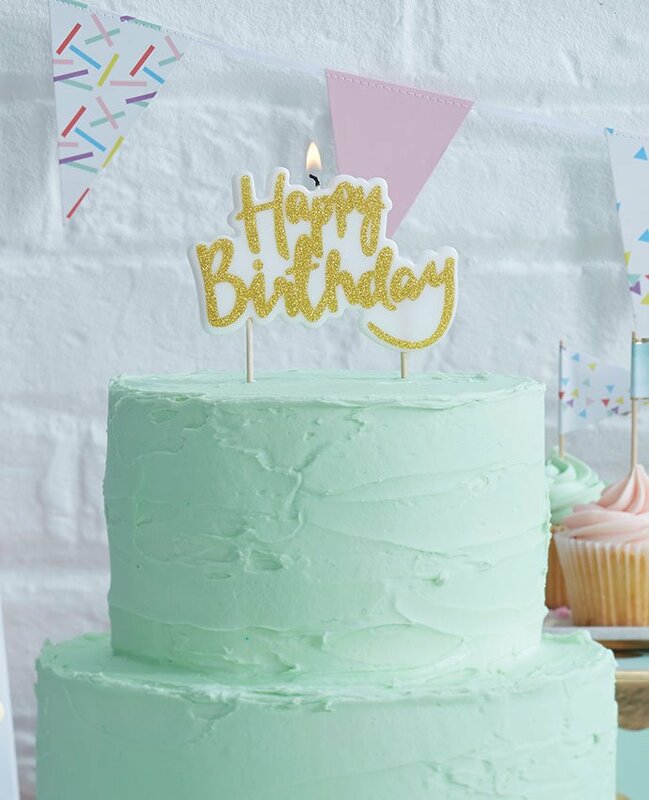 Simplicity is the key to a pastel-perfect birthday cake! 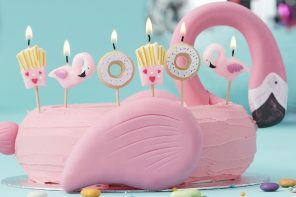 Choose a pastel colour (preferably one that matches your decorations) and use a small amount of food colouring in your icing to create a lovely pastel colour. It’s a good idea to add the food colouring bit by bit to make sure you don’t accidentally make the colour too bold. Then once you’ve iced your cake, top it off with a cute cake topper! 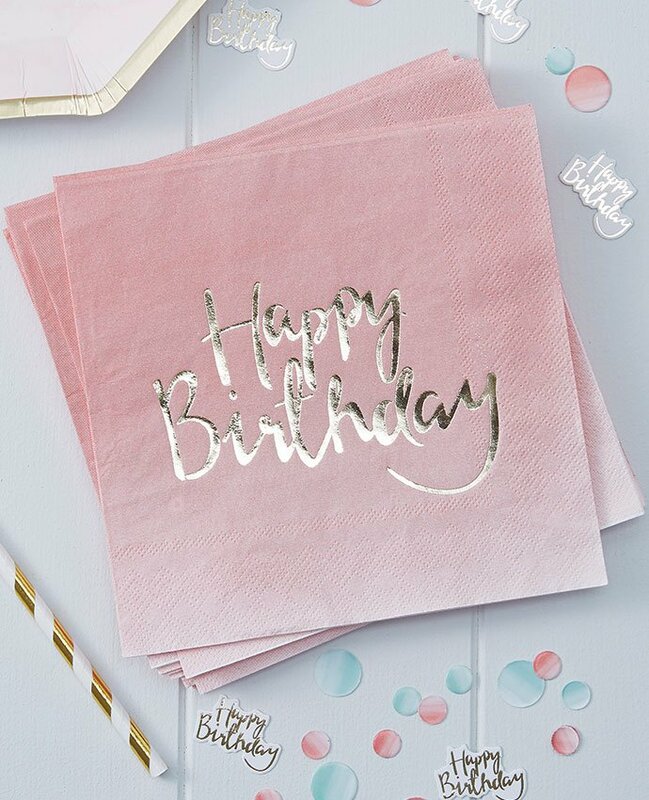 We love this sparkly gold happy birthday cake topper! 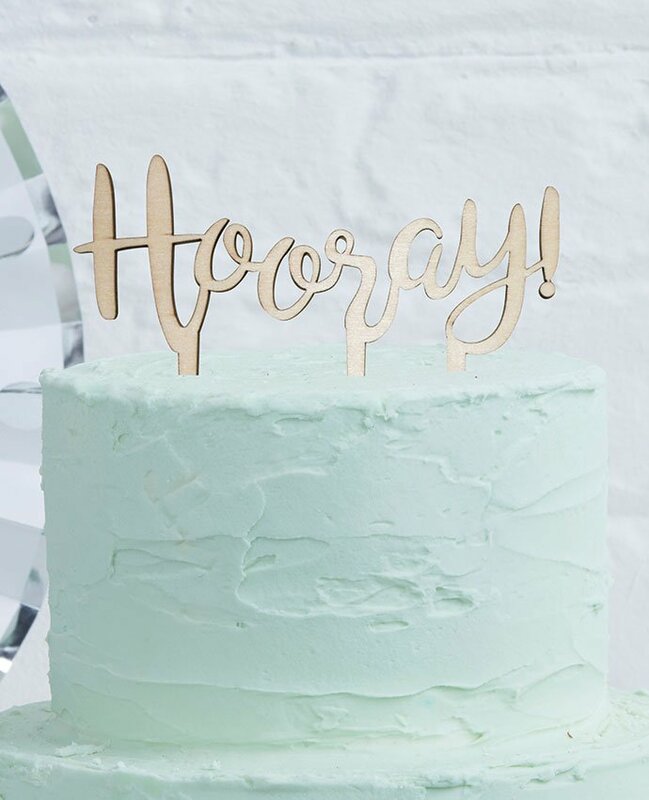 This wooden hooray cake topper is another one of our faves – and it can be used for any celebration, not just birthdays! Why not make some extra icing and make a batch of pastel cupcakes? 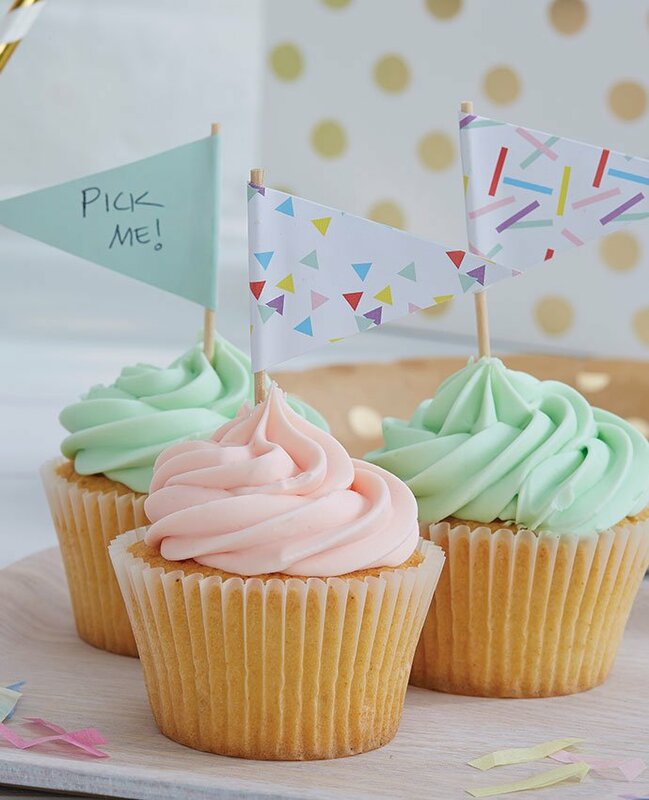 Mix and match pastel pink and pastel green cupcakes and use a piping bag to pipe the icing on in a swirl. Then decorate your cute creations with some lovely Pick and Mix cake picks like this! 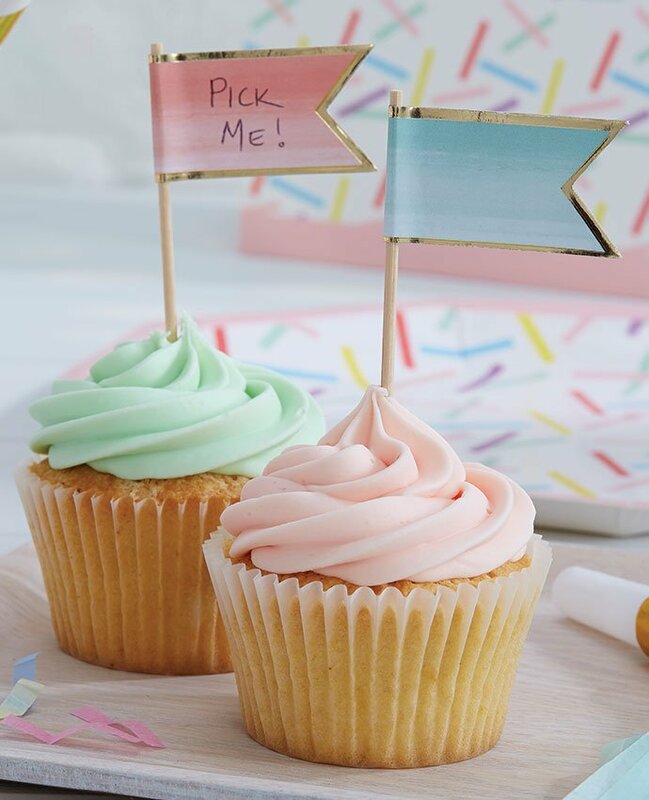 These ombre cake picks would look cute too! 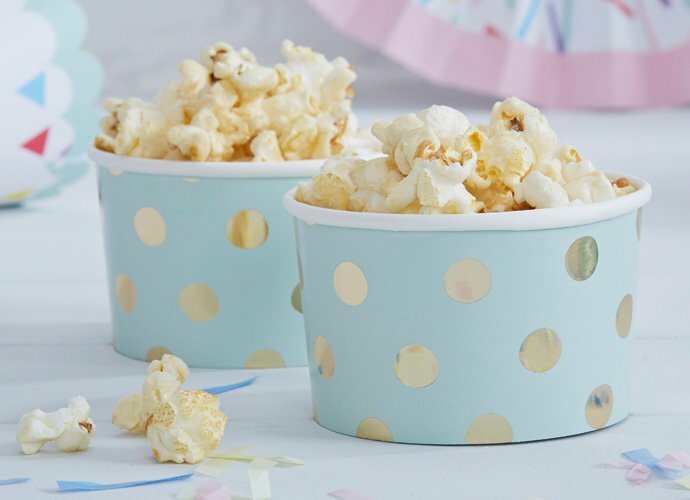 You could serve little snacks like popcorn in these adorable metallic treat tubs that match the rest of your decorations. 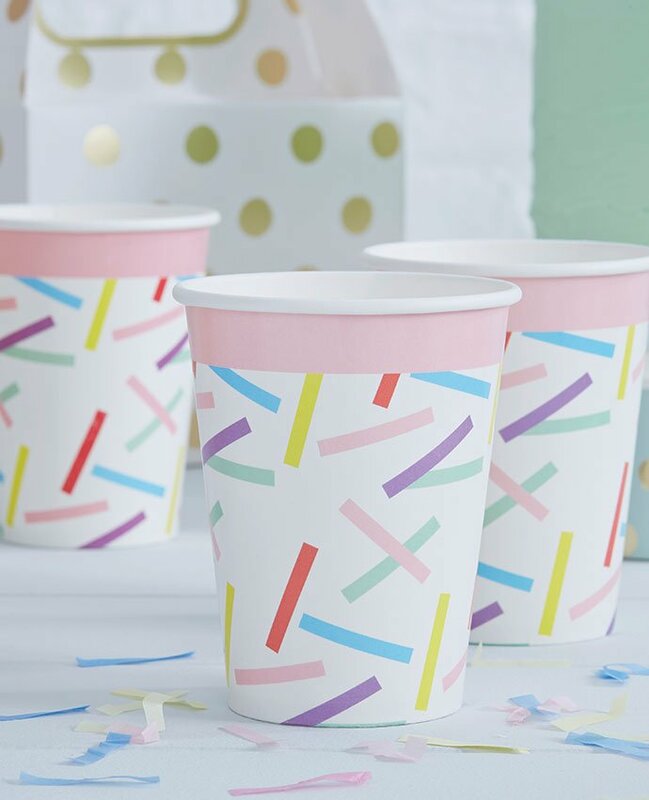 Finally, add some finishing touches to your pretty pastel party. 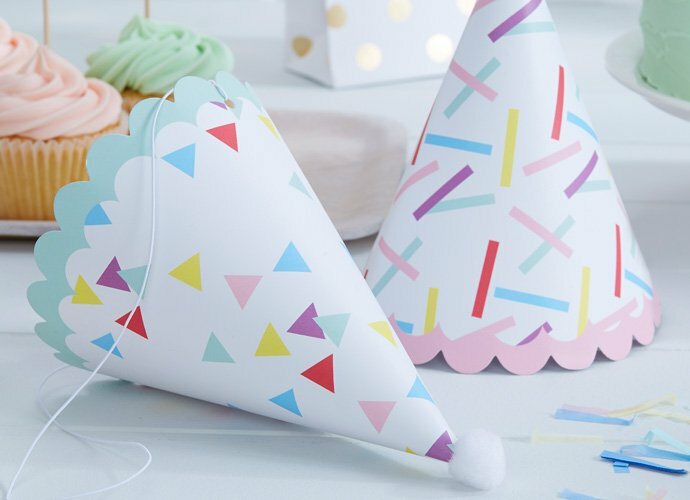 We love these adorable party hats and party horns! 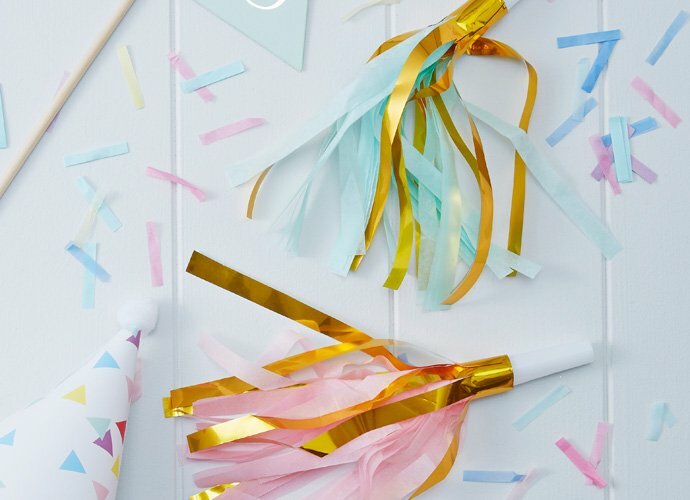 And there you have it – your adorable pastel party is complete! 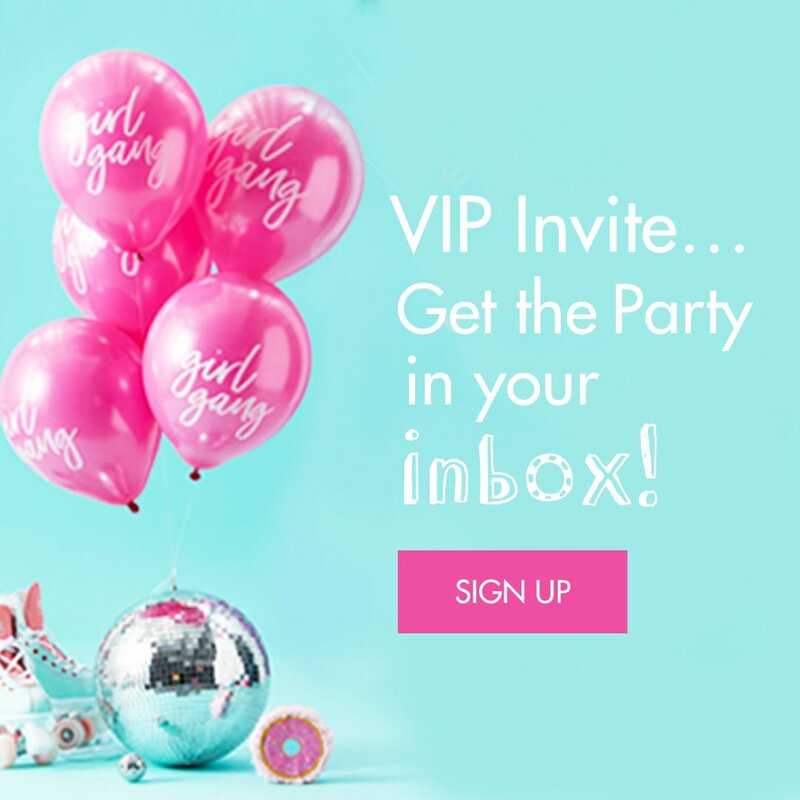 Find all the Pick and Mix party supplies featured in this post on Party Delights or stay on the Party Delights blog for even more inspiring party ideas!